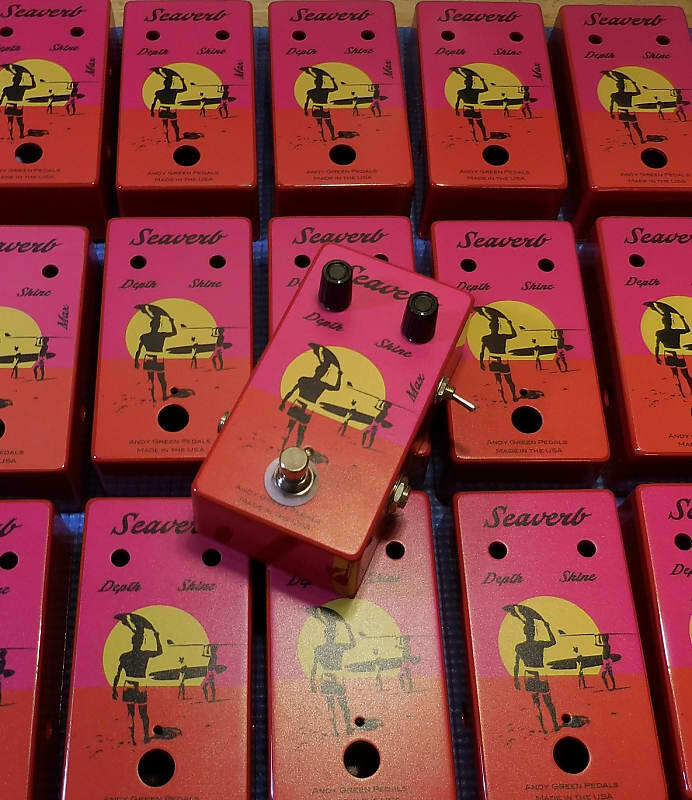 The Seaverb is a stand alone reverb that simulates the spring reverb of 60's amps. The high studio quality and low noise makes it perfect for onstage or in studio use. 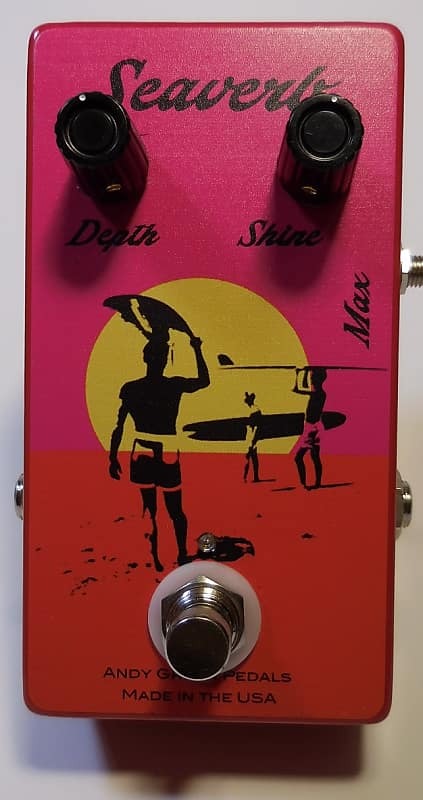 It has 2 controls including Depth and Shine. It will not color the tone in any way, it just adds exceptional reverb. 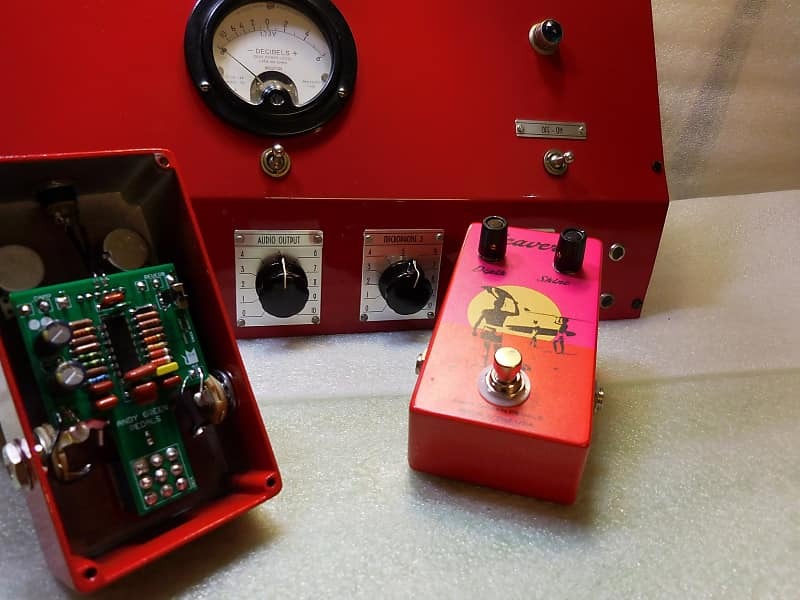 "If you are looking for a reverb that you will never turn off, preserves your tone and is dead quiet the Seaverb is by far the best pedal to replace noisy, non-working spring units. It never tries to be anything it's not, just pure deep springy verb on tap." "This is the best brick reverb I've tried (and I've tried pretty much all of them). He just nailed the balance of effect to dry signal. Sits in the mix of everything perfectly." "This thing is fantastic. I’ve never enjoyed a reverb pedal as much as I have this one." Custom made ENIG PC Boards with gold contacts. 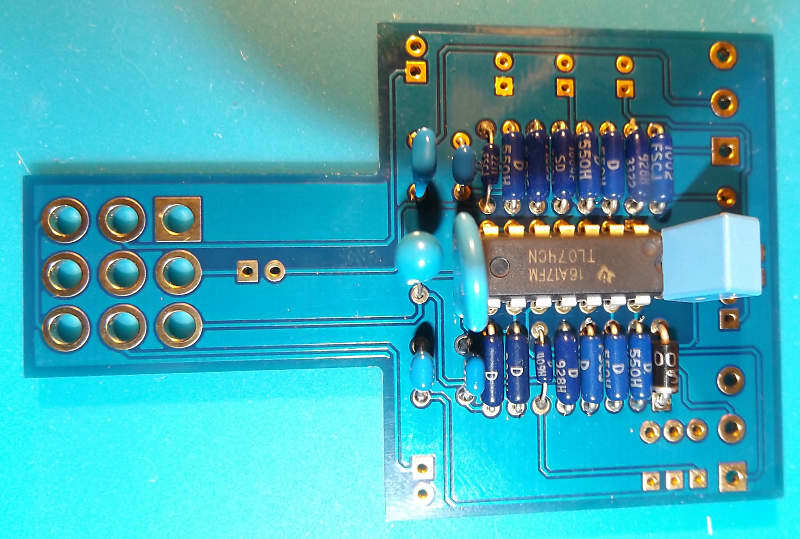 These high quality audio boards are made by one of the worlds largest PCB manufacturers to our specs. Panasonic, Vishay and Wima Film +/-2% capacitors that are tested for exacting tolerance. We use top of the line Nichicon electrolytic audio capacitors in the power section. Vishay Dale RNC55H Mil Spec low noise tested and matched resistors throughout. All off board wiring is done with Mil. Spec. Thermax silver plated 22 AWG solid copper wire single strand with kynar insulation. We use only Kester "No-Clean" solder on the highest quality ENIG PC boards. Even our LED is a super low drain long life made in USA diode. 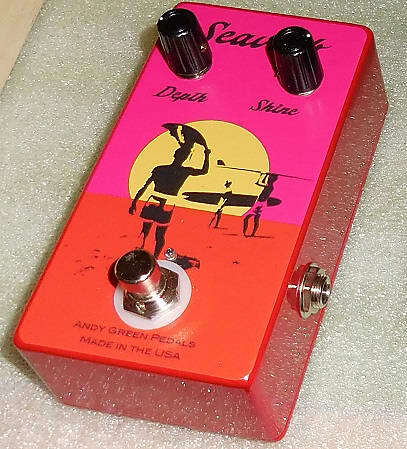 You can look at Andygreenpedals.com for the manual. 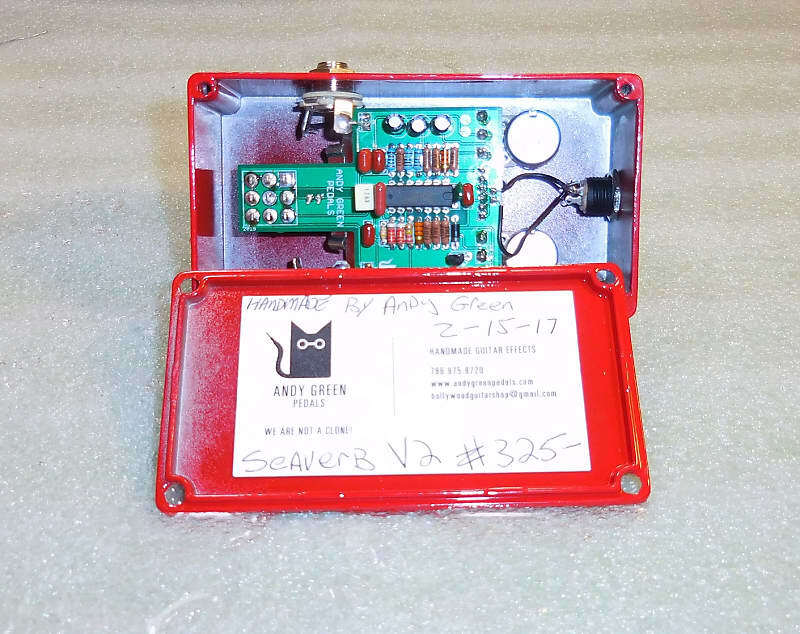 The reverb itself comes from an Accutronics reverb module (BTDR-2). The 2 high quality jacks, led and on/off switch are all soldered with Kester no-clean solder. The boxes are CNC cut, powder coated and printed in full color in the USA. Any pedal ordered between today and Dec. 15 will receive an free 9V ac adapter with the pedal.